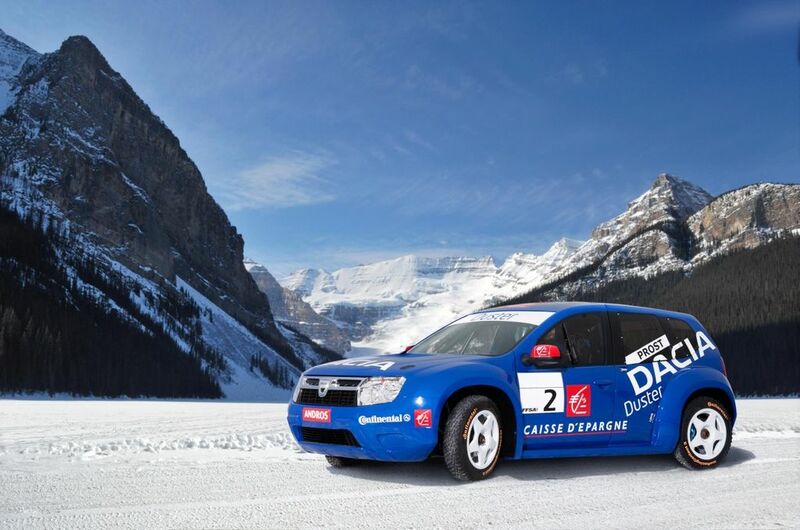 Dacia has chosen to base its challenge in the 2009/1010 Trophée Andros ice-racing season on the socalled ‘Silhouette’ category. All the circuits visited by the Trophée Andros put reliability to a particularly tough test, and this will give Dacia a chance to showcase the fact that robustness forms an integral part of the brand’s DNA. 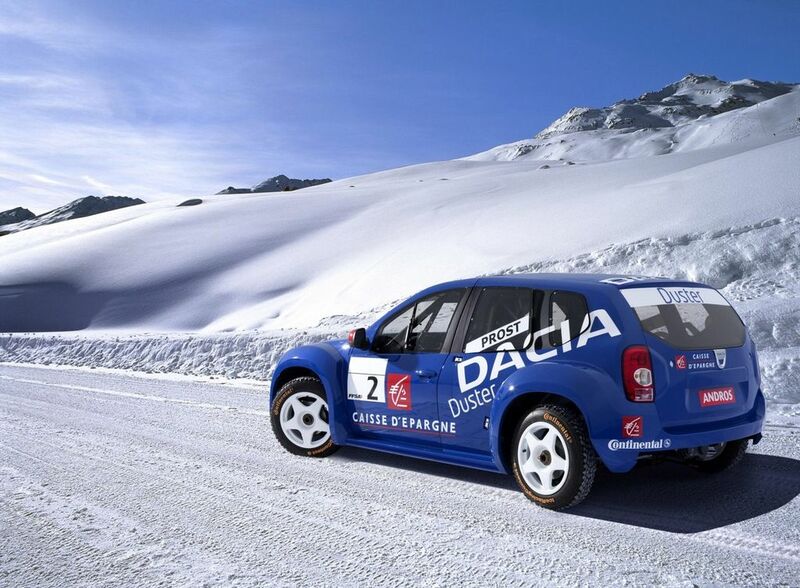 The discipline also places a cap on excessively complex and costly technical solutions, while the chassis, gearbox and tyres, for example, are all carefully covered by the regulations, forcing teams to explore simple, ingenious solutions, an approach which totally fits the Dacia spirit. 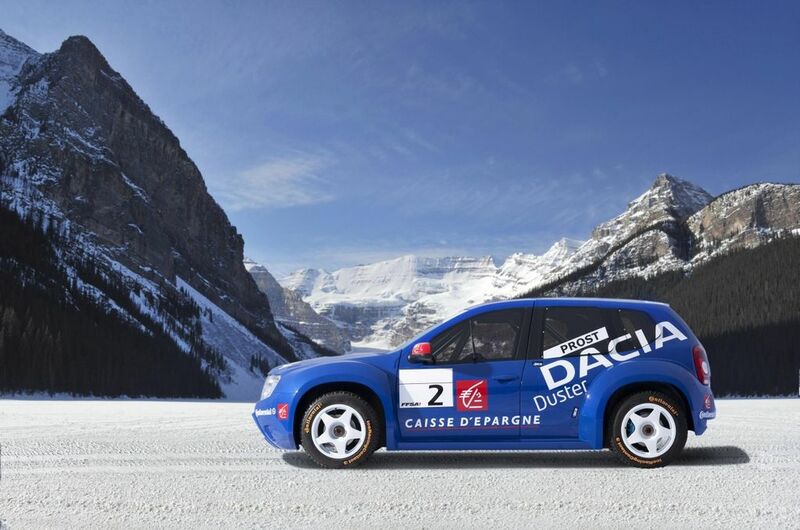 Dacia’s newcomer will get its first taste of ice racing in the hands of Alain Prost, with the brand seeking to spring a surprise by using the campaign to premier Dacia Duster, the lines of which preview the 4X4 model that is due to go on sale in 2010. Dacia Duster’s high body line and prominent wheel arches are clear pointers to its 4×4 credentials¸ while the coachwork of the competition version is perfectly suited to the specific demands of the Trophée Andros. The extensive front glazed surface area and the positioning of the windscreen pillars ensure outstanding foreword and lateral visibility. The Trophée Andros stands out as one of motor sport’s most exacting disciplines. Indeed, in ice racing, the track conditions can change very quickly as a function of prevailing weather conditions, and driving calls for precision, rigour and race-craft, three qualities which all come naturally to a champion of Alain Prost’s calibre. Over and above driver talent, the cars that contest the Trophée Andros undergo specific preparation. The competition version of Dacia Duster has benefited extensively from the expertise acquired by Renault Sport Technologies in motor sport. Its glass-fibre body conceals a tubular chassis which houses a three-litre, 24-valve V6 engine from the Renault-Nissan Alliance range. This powerplant has been carefully tuned in order to optimize its performance potential at the high altitudes at which the races will be held. It delivers peak power of 350hp at 7,500rpm, and maximum torque of 360Nm at 5,500rpm. The six-speed sequential gearbox ensures fast, precise gearshifts, even when drifting through corners at full song. The mid-rear location of the engine illustrates the work that has gone into perfecting weight distribution, in compliance with the 950kg minimum weight requirement and with a view to keeping the centre of gravity low and minimizing polar inertia for enhanced control. The double wishbone suspension arrangement and long-travel dampers have been engineered to permit Dacia Duster to take the different terrains it promises to encounter during the Trophée Andros campaign in its stride. The competition version of Dacia Duster is equipped with limited slip differentials which are indispensable for the extreme conditions. This feature, which is also seen on other Renault Sport Technologies-developed competition and road cars, ensures efficient traction performance irrespective of the amount of grip available, driving style or type of corner. The competition version of Dacia Duster also incorporates a four-wheel steering system for complete cornering line control. This mechanical system links the front and rear wheels, and can be rapidly adjusted to match the characteristics of each circuit.